Today is National Brownie Day. Do you want to celebrate, but are trying to watch your sugar? Since brownies are high in sugar, fat and calories, I have a great recipe substitute brownies, which are high in sugar, fat and calories. Today we’re making Black Bean Brownies. These brownies are flourless, high in protein and fiber, low in sugar depending on the ingredients and just as delicious. Follow my easy step by step guide below to make these delicious treats. Combine puree and dry ingredients. Don’t worry, the batter is very thick. Bake in a greased 8x8 dish for 15-18 minutes. Cool for 10 minutes before serving. Craving something sweet on a cold night, but want to keep it healthy. 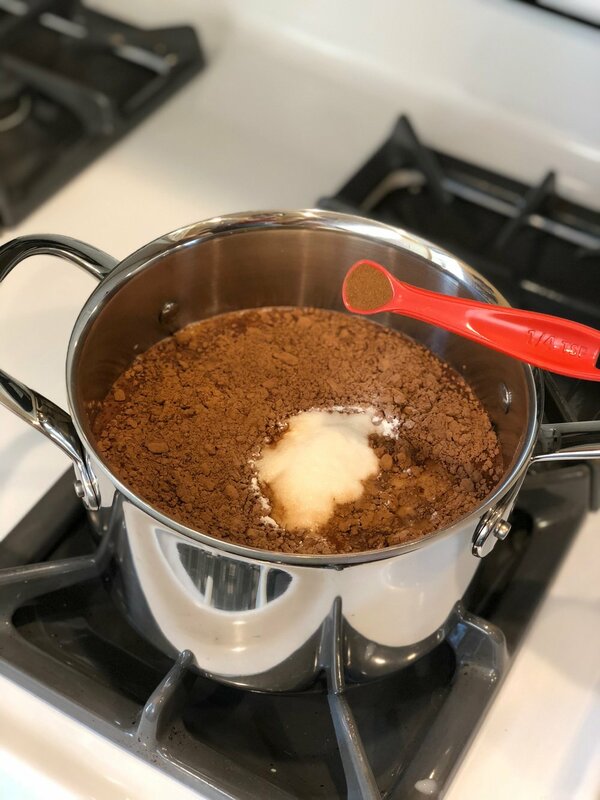 Try my substitute for hot chocolate, Coconut Milk Mexican Hot Chocolate. Whether it’s diabetes, lactose intolerance or simply watching your caloric intake, this is a great recipe substitute for hot chocolate. 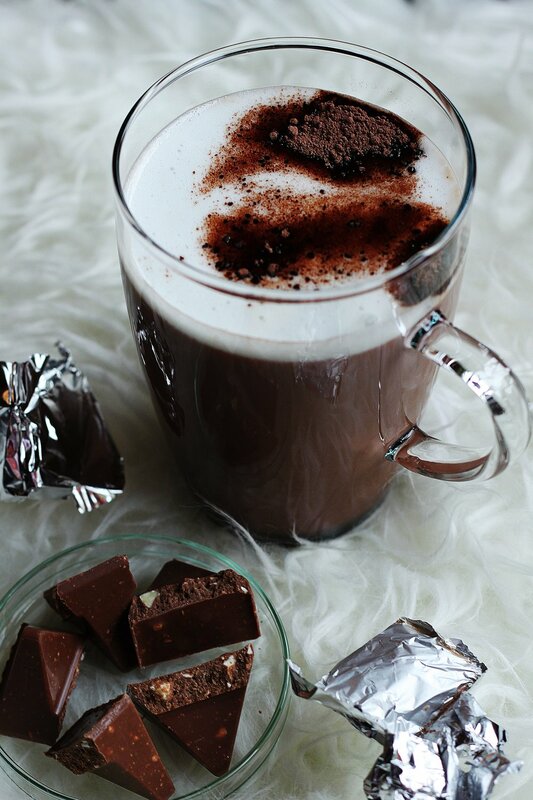 A traditional hot coco made with melted chocolate or the instant powder, which is loaded with white cane sugar. White cane sugar is really one of the worst things you can put into your body. Everything in moderation, of course, but the less sugar (sucrose) in a day, the better. Follow the super easy recipe in my step by step guide below. Fun fact: Coconut Milk has only 40-50 calories per serving and around 1g of carbs. Skim milk has 90 calories per serving and 12-16g carbohydrates. Many people avoid dairy today for a variety of reasons (lactose intolerance, simple dietary choices, fad diets, etc) but a simple serving to serving comparison shows that coconut or even almond milk options cut the total caloric intake. 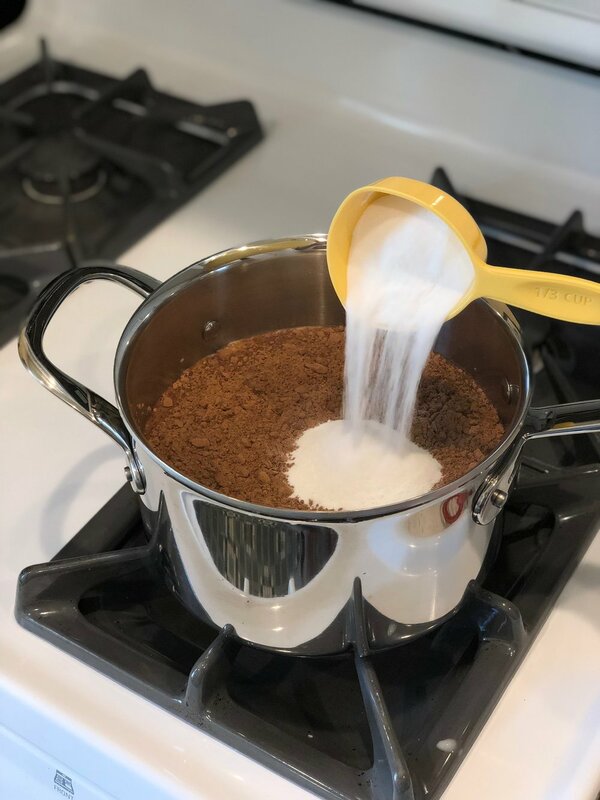 Fun fact: Stevia or Splenda works well as a sugar substitutes in baking and sweet recipes. Some people don’t like intaking the chemicals in artificial sweetener, which in that case there are a variety of holistic, natural sugar substitutes out there. But people need to be careful as non-cane sugar subs, such as agave nectar, still have a lot of calories. I prefer artificial sweetener both to manage my diabetes and my waistline. Serve as desired – with marshmallows or as is. Enjoy! Fun fact: If you’re not diabetic like me you can add some marshmallows. Join me every week for Substitution Saturdays where I’ll post healthy recipe substitutions for some of your favorite meals, treats and drinks. There will be an easy step by step guide to follow to make each recipe and I’ll explain the benefits of choosing these recipes over some popular ones you might be used to. Most importantly, I’ve tried all these recipes myself and I know they will satisfy your taste buds and cravings while helping you stay healthy and fit. In July of 2016, I was diagnosed with Type 1 Diabetes. This meant my pancreas was no longer capable of producing insulin and my life was about to change in a big way. According to the International Diabetes Foundation, “In 2017, approximately 425 million adults (20-79 years) were living with diabetes; by 2045 this will rise to 629 million.” There are many different types of diabetes, but Type 1 (about 5% of diagnosed cases) and Type 2 (about 90-95% of diagnosed cases) are the most common. For about 6 months prior to my diagnosis I was consistently losing weight without reason. I dropped to 170 lbs about 30 lbs lighter than I am now. I kept thinking that since I place such a priority on fitness and health that it was just a run of bad luck, but something wasn’t right. After I went to Australia for my 30th birthday in March, I thought maybe I had a parasite, but then a few other strange symptoms popped up like cramping during the night and blurry vision so I knew it was time to visit my primary care doctor to see what was up. I had an exam and blood work done. A few days later, the doctor called me with the results. My blood sugar level was 495 and I had a A1C of 17. The doctor said, I should go to the ER for treatment, which I did. At the ER the doctor diagnosed me as a Type 1 Diabetic. This meant I would need to inject insulin into my body several times a day for the rest of my life. Although some may have looked at this diagnosis as a negative, I decided this would be the first day of my new life. I now realized why my body was failing me and I needed to listen to what it needed. I knew that although insulin shots would now be my new normal, this was a chance for me to take my life back. I can honestly say after that day I felt reborn and I am now truly the healthiest and happiest I have ever been in my life. I can’t say adjusting to these changes have been easy, but I also knew I didn’t have a choice and had to make the best of it. I became very regimented with my daily lifestyle and my diet. Although to some this could be very intrusive and could have signified a loss of freedom, I viewed this as a positive thing and it helped me focus. I always have to be mindful about my blood sugars especially during and after intensive work outs. Here’s a bit of what my daily routine looks like: I dose Fiasp (quick acting insulin) 3-4 times daily, before every meal that contains carbohydrates. I dose Tresiba (basal or long acting insulin) once a day, before bed. Any time I eat a carb, I need to dose, so it depends on what I’m consuming. For me, since I eat the same thing every day, my dosing time and units are pretty standard. That doesn’t mean I live in deprivation. I have a cheat meal once a week, which is usually In-N-Out. Two double-doubles and fries. While unhealthy, sure, it’s easy to look up and tabulate how many carbs are in that meal and therefore determine how many units of quick acting insulin I’ll need. Even with some sacrifices and some cheat days I know my limits and I know I never want my body to feel as weak as it did before my diagnosis so I will keep pushing and I hope my story will inspire others to keep pushing.